For at least two decades, GPS experts, geodesists, and public agencies have been working together to develop high-accuracy, large-scale continuously operating GPS reference stations that provide them the capability to monitor and model crustal deformation, tectonic plate movement, and the effects of geohazards such as earthquakes and volcanic eruptions. Now, GNSS-augmented advance warning systems are going into place that can give us a crucial margin of safety in the event of an earthquake. Washington, D.C., has a peculiarity of seasons. While most of the world marks the shifts between winter and spring, summer and autumn, the politicos on the streets of the U.S. capital count the passage of time in two-year increments. New operatives and appointees flock to the centers of power in the early days of each administration and the opening of each Congress, then migrate to friendlier climes as congressional elections loom and the administration winds down — as it is now. 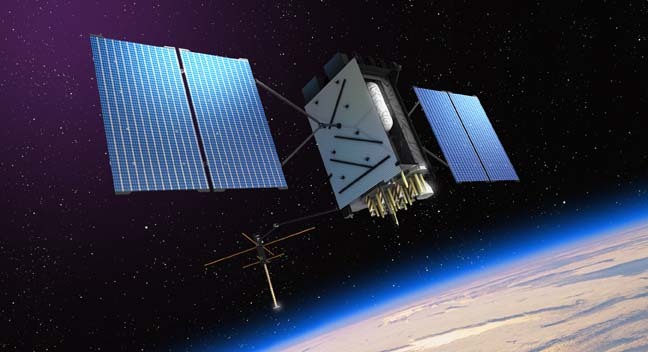 Q: How do measurement errors propagate into GNSS position estimates? A: Not surprisingly, GNSS positioning accuracy is largely dependent on the level of measurement errors induced by orbital inaccuracies, atmospheric effects, multipath, and noise. This article discusses how, specifically, these errors manifest as position errors. In recent years, numerous, relatively inexpensive hardware platforms for conducting scientific research using the software defined radio (SDR) paradigm have become commercially available. The Manufacturers section near the end of this article lists examples of several of these. In turn, this has spurred universities and research groups around the world to adopt this technology for advanced GNSS signals-based research and development. In the past 20 years GPS has simultaneously revolutionized both our modern infrastructure (by providing real-time navigation, mapping, and timing support) and our geodetic/surveying capabilities (by providing millimeter/centimeter-level positioning). At this point, most of the GNSS innovations we expect to see in the next decade will come from calculating positions more accurately and faster, while expanding from GPS to use of all available GNSS signals. The small satellite “Technologie-Erprobungs-Träger 1” (TET-1) is the first spacecraft developed for the German Aerospace Center (DLR) On-Orbit-Verification (OOV) program, which provides flight opportunities dedicated to testing and qualification of new technologies in space. The satellite was lifted into a low-Earth orbit (LEO) on July 22, 2012, from the launch site in Baikonur, Kazakhstan. As the Air Force contemplates changing its GPS III prime contractor in the face of program delays, sources say it is also weighing much broader program changes to help it weather years of continued lean budgets.